Happy National Lighthouse Day! Philly.com says August 7 is "hug a beacon" day! It commemorates the day, in 1789, when Congress took responsibility for building and upkeep of a system of lighthouses to keep America's waters and extensive coastline safe. 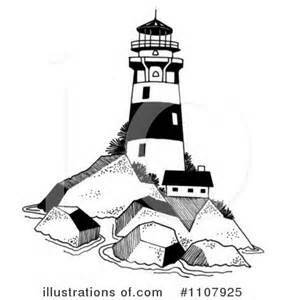 Here are free printable National Lighthouse Day activities, maritime lesson plans, coloring pages, crafts, games and toys. Side-stepping the less savory aspects of pirate lore, I've included navigation, maritime and marine lesson plans and printable boats and ships. Boat-Links is subtitled "The Mother of All Maritime Links," and it's rightly named. The site is a comprehensive collection of hundreds of free printable maritime and lighthouse activities, resources about nautical science, navigation, sailing, maritime history, merchant marine, the U.S. Navy, naval history in other countries, naval warfare, maritime museums around the world, nautical music and boat images. Celestial Navigation offers free printable vintage maritime activities. Before modern navigation, pirates and sailors relied on the sky to guide voyages. Ancient instruments such as the sextant, astrolabe, cross-staff, quadrant, kamal (latitude hook) and nocturnal were indispensable. This site shows how to make old navigational tools. US Lighthouse Society has free printable lighthouse lesson plans, crafts, coloring pages, worksheets and educational materials. You must create a user Id to access. Boats, Ships and Subs has dozens of links for free printable paper boat models. There are sailing vessels from all periods in history, including clipper ships, Chinese junks, Roman warships, Coast Guard boats, viking long boats, pirate ships and models of the Titanic and Thor Heyerdahl's Kon-Tiki. Disney Experience has free printable nautical toys and crafts from maritime-themed Disney movies. There's a Spanish galleon, Capt. Nemo's Nautilus, Jack Sparrow's compass, dead man's chest, Cortez's treasure chest, a Mark Twain riverboat and several other models. The Toymaker has a free printable puppet theater in which children can act out the adventures of Florimel the Magnificent. Florimel is a rabbit sailor who has adventures on the high seas in a boat that looks very like Sir Francis Drake's "Golden Hind." Yes, Coloring has has dozens of realistic free printable coloring pages of boats, ships and submarines for many periods in history. There are also coloring pages of pirate ships.